I'm often asked why dogs eat poop so I thought I'd explain it here. The formal name for a dog eating poop is Coprophagia and whilst you and I may believe it's a disgusting habit, dogs and puppies don't! Understand the reasons why they do it and what you can do to stop it. Wondering Why Dogs Eat Poop? It may not be very pleasant to witness, but it's quite a common sight and if your puppy begins to eat his own poo, you shouldn't really worry too much because he'll probably grow out of it. One of the most common reasons why dogs eat poop is boredom, but an anxious or stressed puppy may also develop this habit. Dogs that eat poop may simply be copying the behavior of another dog, or after watching you pick up after him, he may be mirroring your behavior. Your puppy may be attention seeking - let's face it, 'mommy' can get quite animated at the sight of her lovely little puppy eating poop...mission accomplished! If your puppy isn't yet fully house-trained and is 'punished' for messing in your home he may try to avoid being punished again and 'dispose of the evidence' by eating it. If your dog's eating poop, he could simply be 'cleaning' his living space, particularly if he's confined for too long in a small area, or has been locked in his crate for too long. 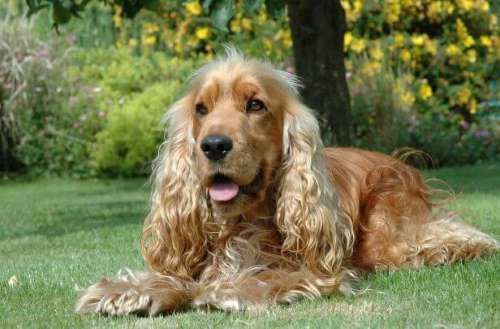 If your Cocker is only fed once each day, he may become hungry towards the end of the day and scavenge for food - if he's really hungry, this may lead him to eat his own poop! If your pup is on medication it could be the cause of your puppy eating his poop, in which case, it's probably best to check with your vet. Your puppy's food may not be nutritious enough; he may be lacking in essential nutrients which is causing him to eat his own or another dog's poop (they're not fussy!). Eating dog poop allows the maximum amount of nutrition to be absorbed from the food, which may be a throwback to the wild; ie, the difference between surviving or not! 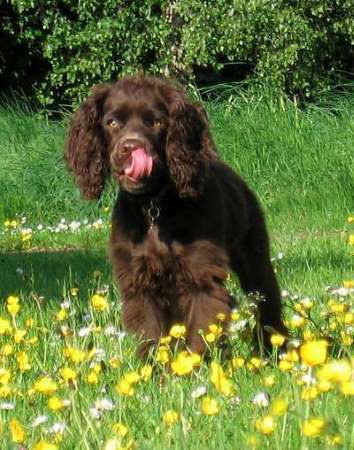 Understanding why your dog is eating poop will help you to rectify his anti-social activities. It's important to help his stop before the 'indulgence' becomes a habit otherwise it may become more difficult to deal with. If you catch your puppy in the act, don't get angry with him or punish him for it because you may inadvertently teach him that he's being punished for pooping. In his mind, the punishment may confirm that his decision to eat (ie, 'dispose of the evidence') was a good one. Go to the next page to learn how to stop your puppy eating poop and enjoy his sweet scented kisses (albeit slobbery!) and loving licks once more!